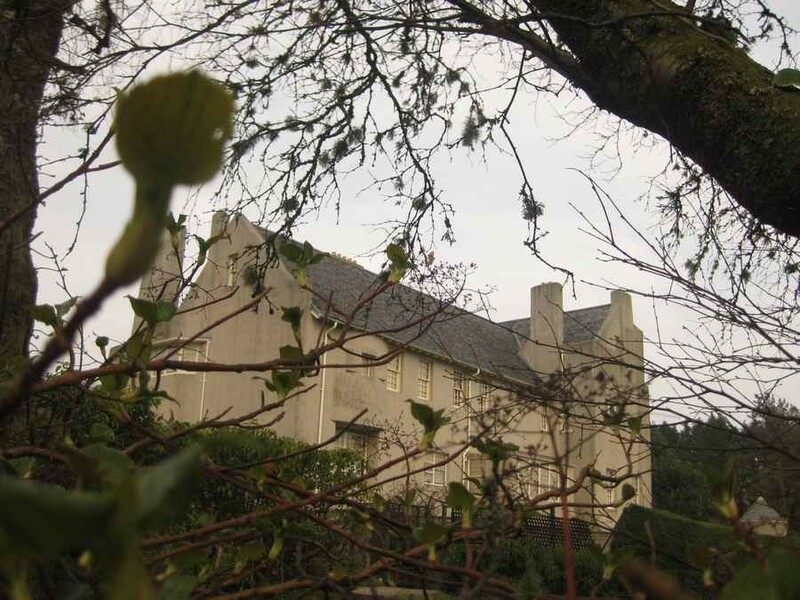 The first major milestone has been reached in the pioneering project designed to save The Hill House in Helensburgh. 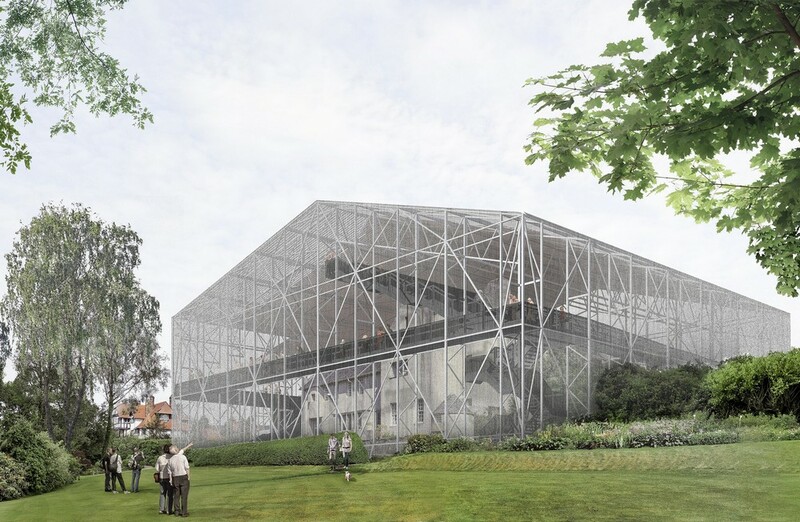 Robertson is currently constructing a unique mesh ‘box’ around the building, which is regarded as Charles Rennie Mackintosh’s domestic masterpiece. 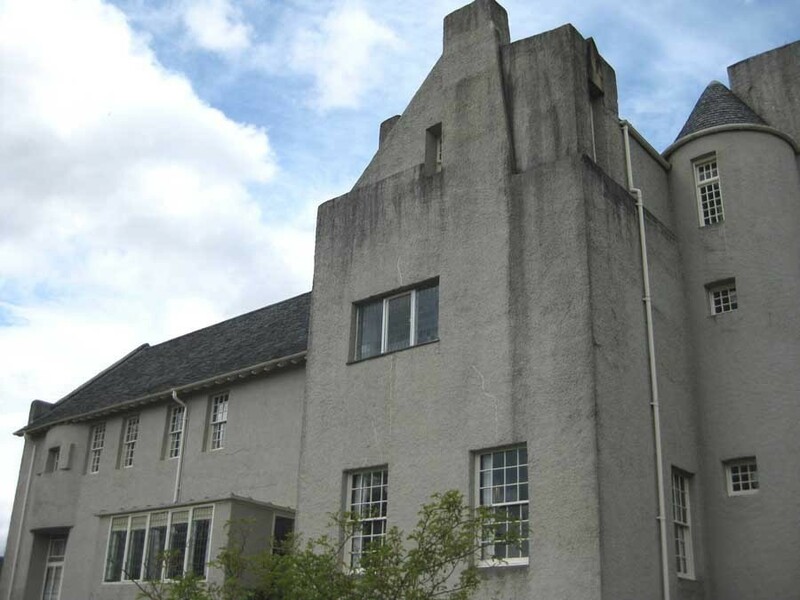 Construction starts on a pioneering project designed to save the Hill House – regarded as architect Charles Rennie Mackintosh‘s domestic masterpiece. I was making one of my regular visits down to Helensburgh on Saturday and, as on many previous occasions, enjoyed walking around the Hill House and the surrounding streets of upper Helensburgh which lay claim to so many architectural gems and beautifully crafted homes and individually designed gardens including the White House by Baillie Scott and numerous other Edwardian, Victorian, Art Nouveau and Arts and Crafts designs. 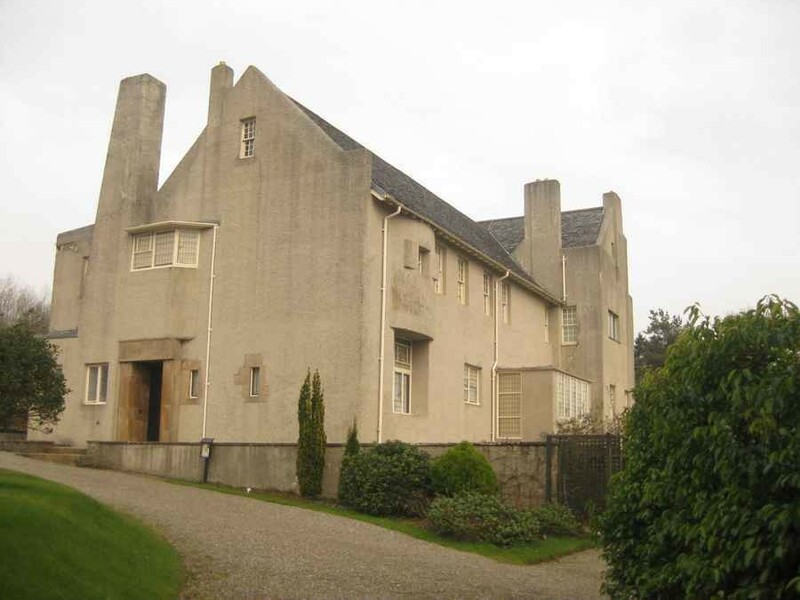 I did however notice that there were two planning applications for Lynton, the property at 6 Upper Colquhoun Street directly opposite the world famous Charles Rennie Macintosh’s Hill House. 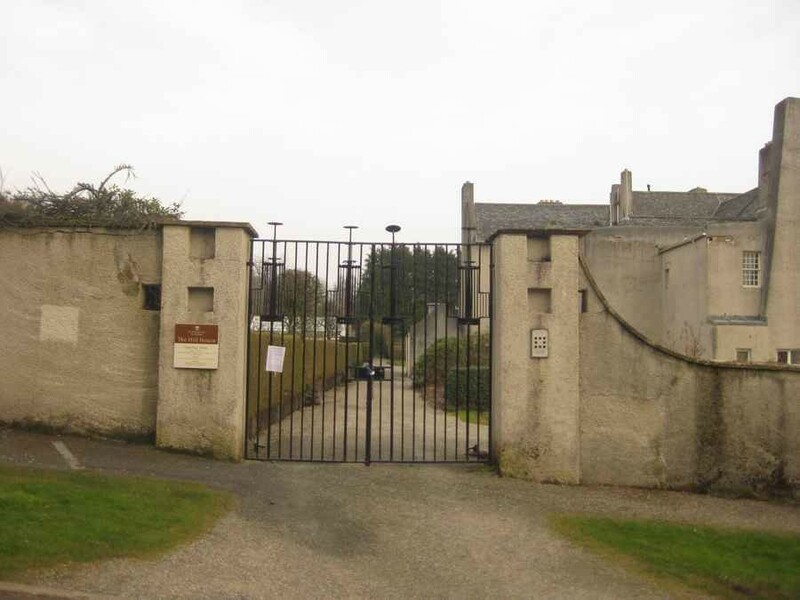 Out of interest I looked up these applications upon my return home and noted that the owner is wishing to build a new modern house and a 12 car garage directly in front of Hill House, this will undoubtedly obscure its’ views and outlook and blotting the landscape! This will involve the felling of over 10 established trees and will inevitably completely change the character of this conservation area. 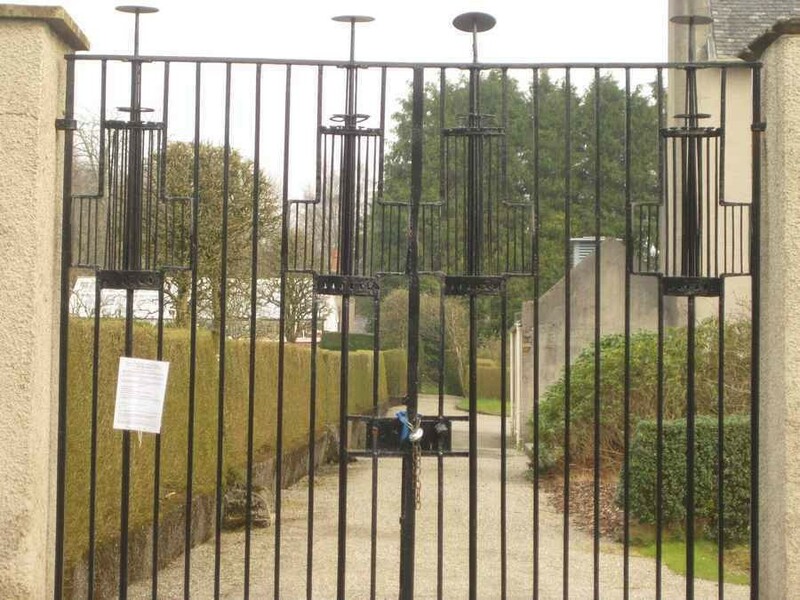 I also noticed that they intend to extend the property and put on an orangery as well? 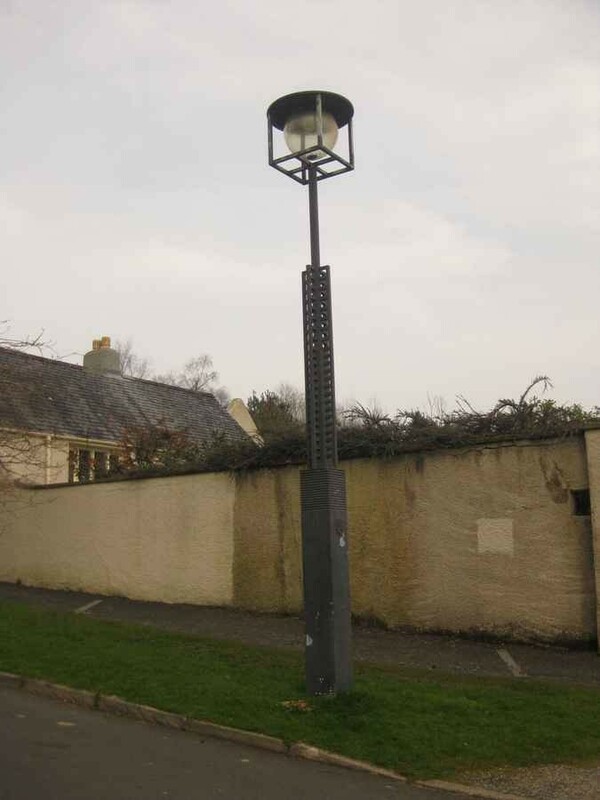 This would almost certainly double the size of the property and I would hope this would need to be very closely monitored to ensure that it does not jeopardise this wonderful house. 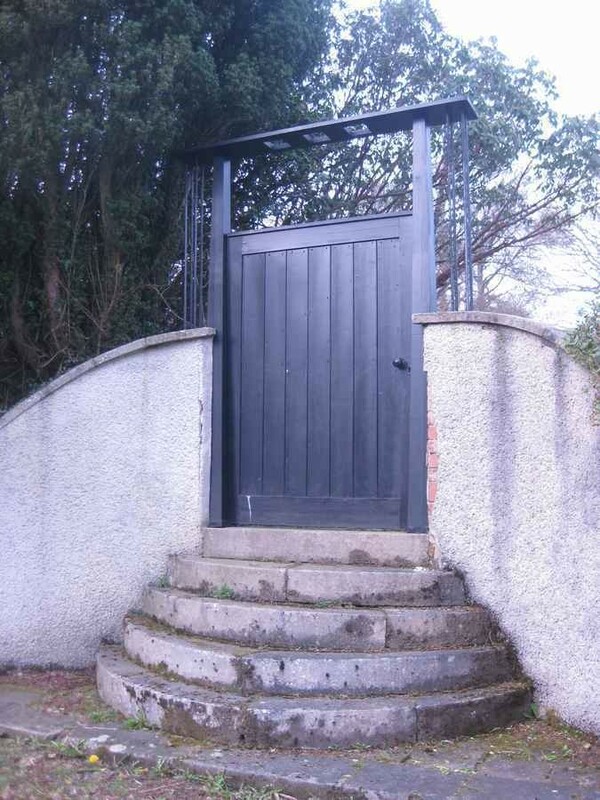 Frankly, I find it astonishing the owner would want to do this and jeopardise the integrity of this William Leiper home which is probably one of the best preserved examples of his work I have seen, but to my greater astonishment, on looking at the website I see that there has been no objections to this from local persons or the Hill House itself? 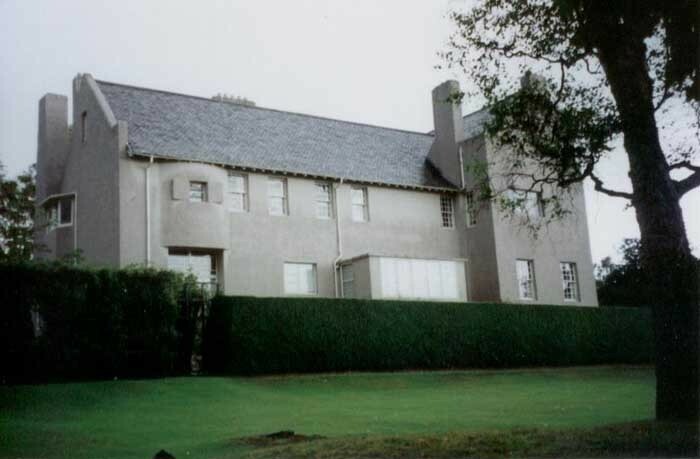 If the new owner needed a bigger house why couldn’t he/she put their mind to restoring the grandeur of Morar House which is adjacent to the Hill House and desperately in need of refurbishment, love and attention, as opposed to adding additional modern buildings that will be completely out of keeping with the areas around Hill House. I do hope that others will share my passion for the protection of this beautiful area and look to support the objection of such a ludicrous and outlandish development in one of the last corners of brilliance and tourist appeal in the West if Scotland. 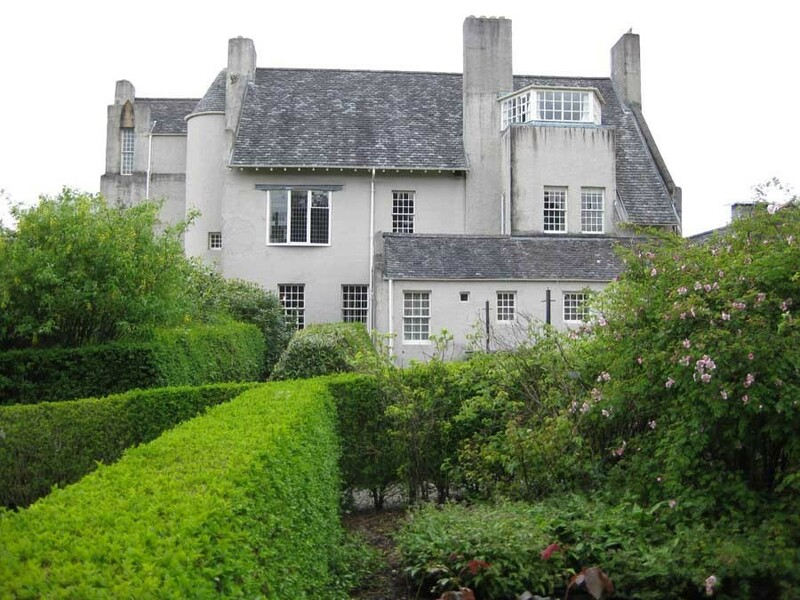 Hill House was designed for publisher Walter Blackie. 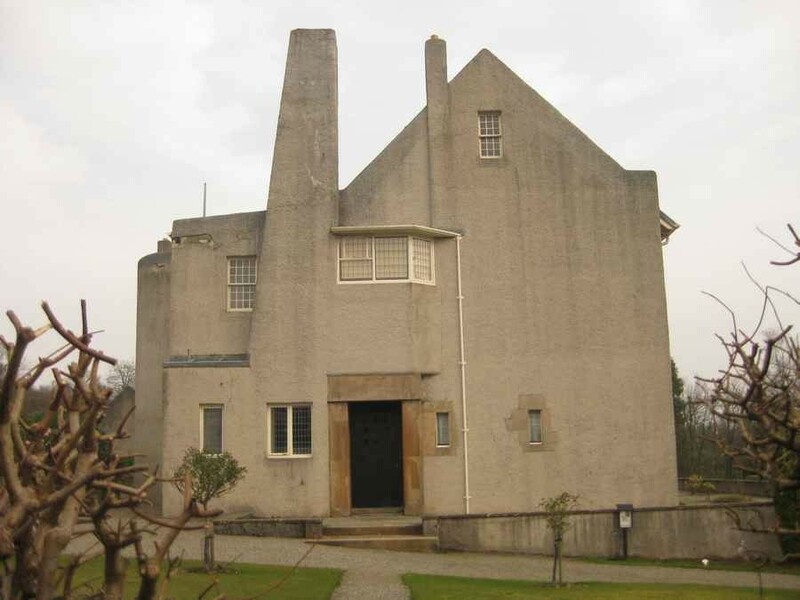 After the Glasgow Art School, The Hill House is one of Mackintosh’s best known works. 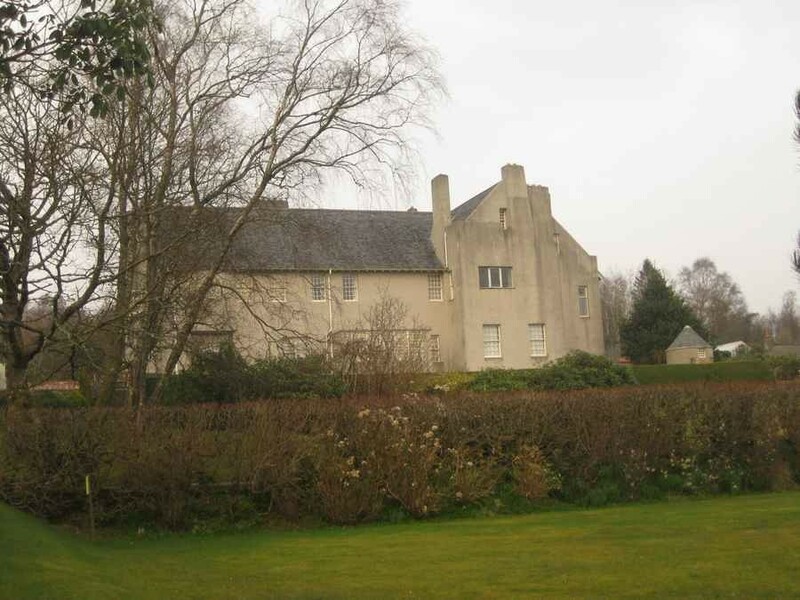 It is a powerful light-grey rendered house but quite a trip from Glasgow – if staying there probably best to allow an afternoon. 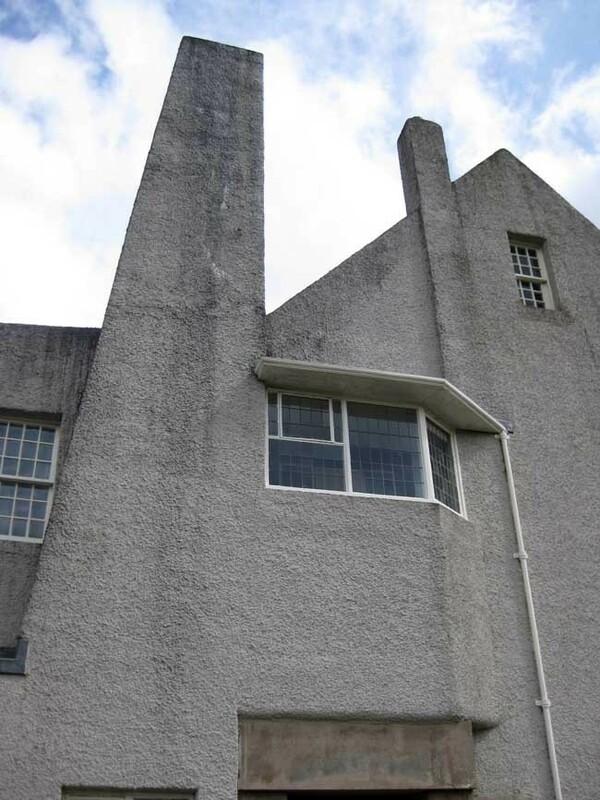 The facades at Hill House are typically strong with the limited apertures articulated with characteristic grids, and subtle non-orthogonal elements such as the chimney. Mackintosh’s style is often seen as not only related to fin-de-siecle Art Nouveau but to the burgeoning Modern Architecture movement. 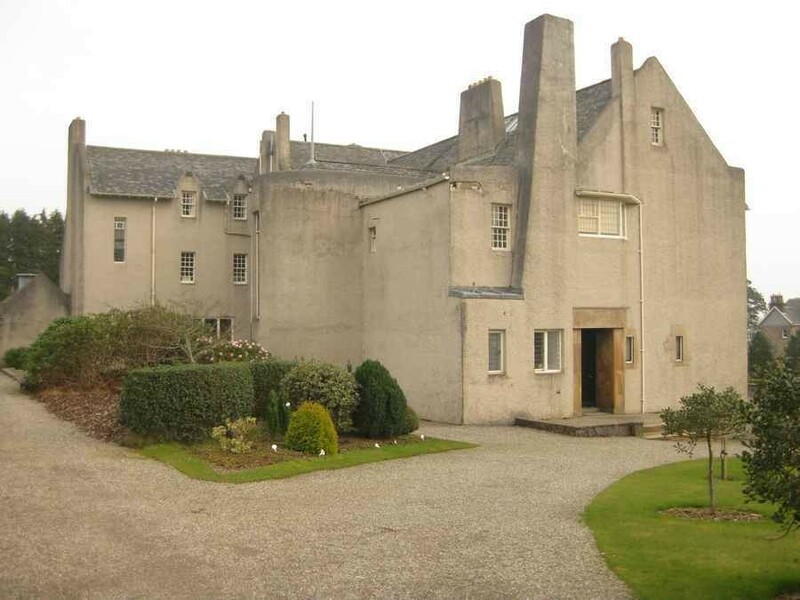 This project typically works with the Scottish traditional architecture, often referred to as the Scots Baronial, the rustic architecture of towers and crow steps. Hill House is run by the National Trust for Scotland and is close to Loch Lomond, around half an hour’s drive north-west from Glasgow. By train from Glasgow Queen Street, then taxi from Helensburgh Central Station; or by car along A82.